The chart is as accurate as possible online. 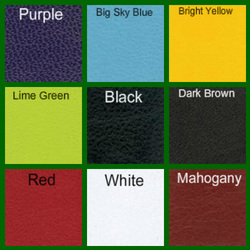 If you have any questions about the colors please contact us at ballard@donovanslippers.com. There can be slight changes in the color from one shipment to the next. We ALWAYS cut your slippers from the same skin and each one is cut individually to do our best to match the texture in the leather. Donovan Slippers are sized in whole sizes. They have been sized over bare feet or nylon stockings. If you plan to wear them over a heavier stocking please take that into consideration when selecting a size. For half size go up to the next size. Initially these 100% leather slippers will be snug on your feet, but as you know, leather will mold to your feet. If you have any questions about sizing before you place an order, email or call 1-406-487-2898 9:30 a.m. - 5:00 p.m. Monday through Saturday, Mountain Time. Note from Donovan: If your slippers seem too snug the first time you put them on, wear for a short time for a few days. They will gradually feel less snug and you will get the "custom" fit for you. Women's Sizes: 5, 6, 7, 8, 9, 10, 11 Even sizes only. If you are a half size, you may go up to the next whole size. Donovan Slippers will fit snug at first and mold to your foot with a few wearings. Men's Sizes: 8, 9, 10, 11, 12. If you need a size larger than these contact us and with measurements of your feet we will work to get you exactly what you want and need. Contact us if you have any questions. You may email donovanslippers@yahoo.com. We are happy to work with you to create a leather slipper that will fit you. We have had customers make a drawing of their feet, take measurements and send them to us. 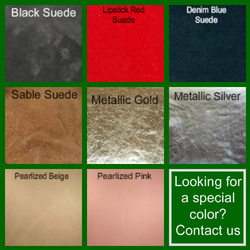 We match that with our patterns and can decide the best size for you. We also have customers who have special needs such as different size feet, partial amputation, corns, and foot surgery. We are able to make a pair of slippers that will accommodate those special needs. There is a charge to create your pattern the first time. Email us at donovanslippers@yahoo.com or call us at 406-487-2898 to visit with us.